At Coaching Kids 4 Self-Belief, our philosophy is based upon helping a performer to increase their awareness in order to achieve learning and to perform at higher levels in a way that empowers them from the inside out. However, it is not always that easy as a coach to help a performer to increase their awareness if the performer is in the habit of using their thinking mind. As part of our coach education workshops we give a short lesson with a volunteer coach who takes the role of the student, in which we demonstrate how to increase learning and performance by being non-directive and asking awareness-raising questions. On one particular workshop, a volunteer coach responded to Andy’s awareness-raising questions by slipping into a very common but less effective, habit. This turned out to be a valuable learning opportunity for the group. At the beginning of the demo, the volunteer coach told Andy that he wanted more power on his backhand and rated his current level of power as 4. Andy asked him how much power he would like to achieve in the next fifteen minutes and he said he’d be happy with a 7. In the coach role, Andy remained non-directive by listening and asking follow-on awareness-raising questions. After hitting a few shots, he reported that he was noticing the finish position on his follow through and agreed to monitor this for a while. A few shots later, Andy noticed that his backhand had become a lot tighter and he seemed to be moving his feet in staccato fashion. His brow was furrowed and he seemed to be thinking and trying too hard. His shots were losing power. When Andy asked him if his attention was still on monitoring his follow through, he said that it wasn’t – it was on trying (thinking mind / analysis) to get his feet into the right position. He was thinking that, if he could get his right foot forwards a bit more, he would hit a better shot. We paused at this juncture as it was an opportunity to discuss with the group that even though the volunteer coach was being asked awareness-raising questions, his thinking mind wanted to take over – which meant that he wasn’t responding from his awareness any more, but from analysis instead. As a coach, staying open to a player’s non-verbal cues can give a clue as to what is really going on in the mind of the player when they are learning and performing. Are they focussed and relaxed or are they thinking too much, trying too hard and becoming overly tight? Are their faces relaxed or strained? Are their eyes soft and focussed, pupils looking bigger, or are their eyes narrowed with the brow furrowed? Are their body movements free and spontaneous or jerky and stiff? Are they swinging freely through the ball or are they swinging hesitantly and stabbing at the ball? 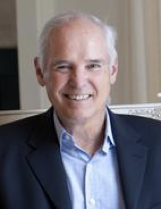 Tim Gallwey, author of The Inner Game series, saw that a useful way of looking at how a student is responding is to see if they are in ‘awareness mode’ or in ‘trying mode’. A player in awareness mode is ‘in the moment’ – they show relaxed, focussed attention and are typically observing current reality without judging it. A player in trying mode is judging results emotionally, analysing and has a lot of internal dialogue as they try to solve their perceived failings. All of this results in the tell-tale tension of interference. The skill of asking effective questions is key to creating and maintaining focus. And that focus, once locked in, can lead to increased awareness (learning) and / or the flow state where performance can peak. ‘Effective questions lead to focus in the present moment. Once the group understood that our volunteer had slipped into trying mode, we continued with the demo and they were able to see how Andy’s questions kept him observing what was actually happening and helped him, by staying away from analysis and judgement as the coach, to stay focussed in the moment. It didn’t take long to achieve his goal once we were in awareness mode. And here’s how we can increase OUR awareness when we’re coaching. If we can get better at noticing whether what we say causes our student to analyse and try too hard, or whether what we say creates focus and learning in the awareness mode, then OUR learning and performance as coaches will improve alongside our pupils. So next time you are working with your players, see if you can recognise the degree to which they are focussed by observing their non-verbal body language. And be aware that, to begin with, not everyone will respond to your well formed awareness-raising questions with awareness. But if you can spot that they are in trying mode, there is a way to lead them back out.